When implementing a Database Availability Group (in Exchange 2010 and higher) you need a File Share Witness (FSW). This FSW is located on a Witness Server which can be any domain joined server in your internal network, as long as it is running a supported Operating System. 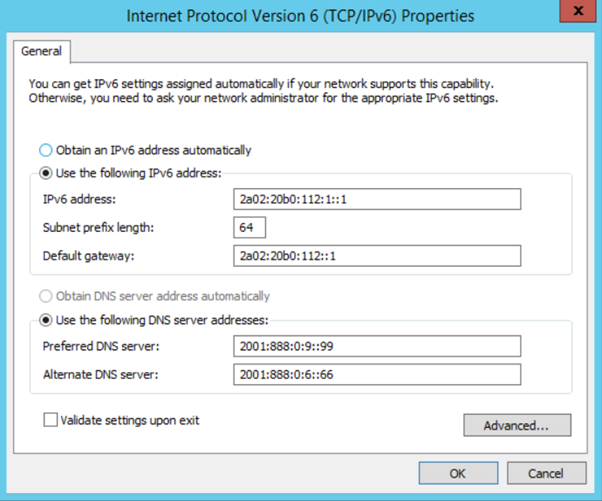 It can be another Exchange server, as long as the Witness Server is not a member of the DAG you are deploying. While this is possible and fully supported, it is costly adventure, and personally I haven’t seen any of my customers deploy it yet (although my customers are still interested). In Windows 2016 the concept of ‘Cloud Witness’ was introduced. The Cloud Witness concept is the same as the Witness server, but instead of using a file share it is using Azure Blob Storage for read/write purposes, which is used as an arbitration point in case of a split-brain situation. No need for a 3rd datacenter hosting your Witness server. 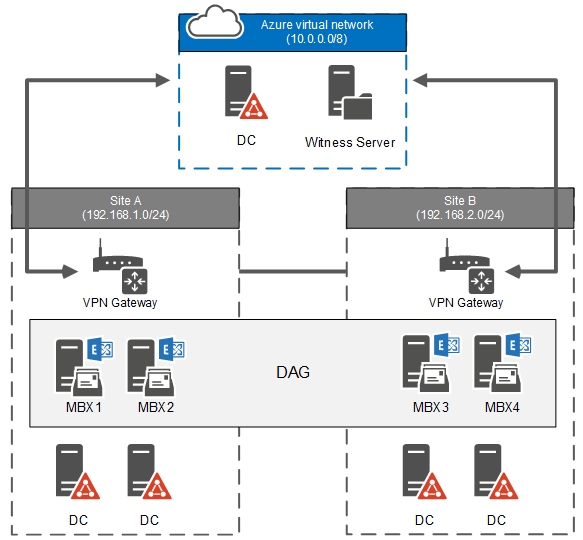 No need for an expensive VM in Azure hosting you Witness server. Using standard Azure Blob Storage (thus cheap). 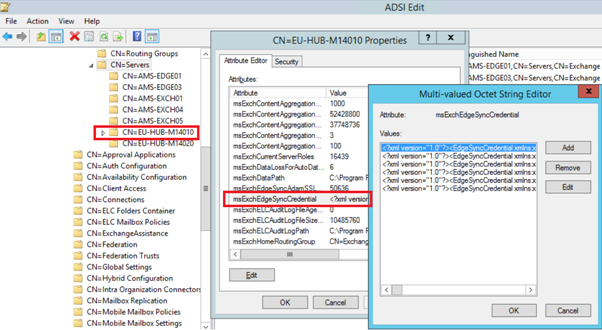 Same Azure Storage Account can be used for multiple clusters. Built-in Cloud Witness resource type (in Windows 2016 of course). 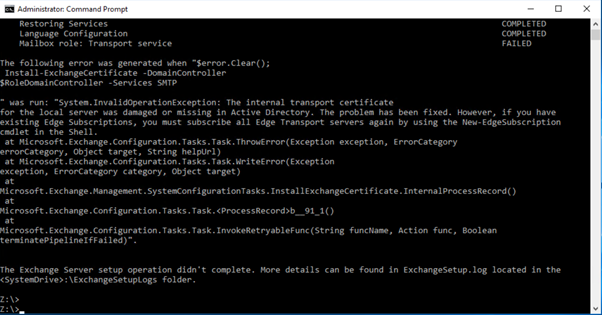 Looking at all this it seems like a good idea to use the Cloud Witness when deploying Windows 2016 failover clusters, or when deploying a Database Availability Group when running Exchange 2016 on Windows 2016. Unfortunately, this is not a supported scenario at this point. All information you find on the Internet is most likely not officially published by the Microsoft Exchange team. 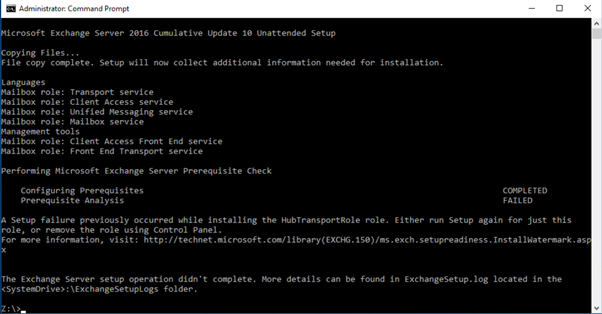 If at one point the Cloud Witness becomes a supported solution for Exchange 2016, you can find it on the Exchange blog. When this happens, I’ll update this page as well.